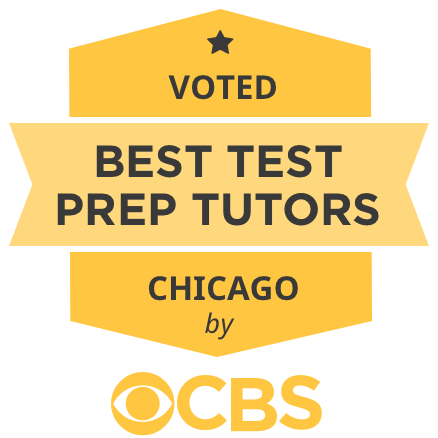 Accomplished Chicago tutors meet our exacting qualification requirements, pass a multi-step interview process, and undergo background screening. One of Varsity Tutors’ expert directors helps to pair you with a qualified tutor to ensure the best possible match – it’s even backed up with a money-back guarantee. Did you know that Chicago is home to about 700 public schools, in addition to the numerous private schools in the city? As with most larger cities, there are some schools that offer stronger academic programs, and earning admission to these schools can be strenuous. With about 400,000 students in public schools alone, navigating the Chicago educational system can be nerve-wracking for parents and students. Working with a professional tutor online or in-home can help you or your student excel. Private tutors in the Chicago area can create individualized tutoring sessions to address challenging coursework for students from elementary school to the college level and beyond. Tutors can even help with test preparation for common exams such as the ACT, SAT, ISEE, PARCC, or the ISA. Here's a breakdown of ACT test scores in the city. How does your student measure up? The PARCC, or the Partnership for Assessment of Readiness for College and Careers, is taken by 3rd through 8th grade Illinois public school students. The focus of the test is on English and Mathematics. The ISA, or Illinois Science Assessment, is administered to public school students in grades 5, 8, and 11. The high school assessment is aligned with Biology I and is given to students in an online format. Chicago International Charter School has a 17 1 student-teacher ratio. Waukegan High School has a 16 1 student-teacher ratio. Warren Township High School has a 17 1 student-teacher ratio. New Trier Township High School has a 11 1 student-teacher ratio. Lane Tech College Prep High School has a 20 1 student-teacher ratio. No matter your academic needs, Varsity Tutors can help you find a qualified Chicago tutor to work alongside as you reach for your goals. Whether you are looking to change professions and need to upgrade your resume with new skills, want to polish your foreign language skills, or you are a college student who needs personalized tutoring with an expert in a specific subject, personalized tutoring is both convenient and effective. You get to choose when and where your private tutoring sessions will take place, and your professional tutor can create an individualized learning plan tailored to address your unique learning style, strengths, and weaknesses. To begin, contact Varsity Tutors today. Your tutor can customize your lessons and present concepts in engaging easy-to-understand-ways. You can learn more efficiently and effectively because the teaching style is tailored to you. Your tutor comes to you, so times and locations are flexible. Meet at your home, online, or any place of your choosing. "The student still doesn't enjoy doing the problems but we went over a bunch of limiting reaction problems and as long as she takes her time on the test and makes sure she doesn't mix up the numbers. I think that she will do better on this exam than the last, as she understands how to do the problems much better!" "The student is progressing in Math and seems to be getting more confident, which is very important. However, I would like her to revisit the fundamentals as she some times forgets the basics. " "The two students have finished the math section in their own practice book and each skipped some questions. The one needs more help in the math section than the other, but the other struggles more with the reading comprehension. We focused on correcting and going over the incorrect or skipped math questions in the first half to today's session. The second half we focused on synonyms. They both need some review of vocabulary words and I will send them a list of vocabulary that they should know. Their homework is to look up the words that they didn't know on the synonyms page and to do the verbal section in practice test 1. I also gave them some analogy practice and an "analogy tips" page. We will go over reading comprehension at our next meeting. " "We covered how to say what are you wearing and some basic clothing vocabulary. We had conversations between stuffed animals about what their names are, how they are doing, what they are wearing, and what color their clothes are. We also started learning to sing the French alphabet. " "The student did some practice sections of writing skills and mathematics in preparation for her PSAT test. She is doing very well in the mathematics sections- she understands almost all of the concepts tested and knows how to approach most of the questions. " "The student and I continued to work on her handwriting. I gave her writing prompts and she wrote a few sentences on the subject. Afterwards, I checked her handwriting for any errors. There was a little trouble with her transitions from the letter "w," so we focused more on that for the rest of the session. By the end, her letters looked much better." "This week the student and I covered magnetism, AC circuits and transformers. We worked through book problems to make sure he understood the concepts and equations and how to properly use the equations to answer the problems. For the most part, he seemed to understand how to use the proper equations to find magnetic force or magnetic field strength. We reviewed the right-hand rule quite a bit. After reviewing the AC current materials, he seemed to have a better grasp of what the equations mean and how to use them. Transformers seemed to be a fairly straightforward subject for him. We extensively reviewed the conservation of power in transformers to make sure he understood how voltage and current are inversely related in transformers. " "We went over the nervous system. He had a quiz last Friday. It covered the nervous system. Today we spent time on the nervous system and the endocrine system. He has a test on the endocrine system this Friday, I made a study guide for him to use to prepare." "We started with naming letter sound and sounding out target words. The student then moved on to reading a short story. After reading the story to mastery we switched to using the magnet board. We took turns building words, playing with initial, medial and final phoneme substitution. To end the session the student completed a page from Explode the Code focusing on the -at family. " "In this session we covered basic neuron anatomy and physiology. We reviewed the component parts of the neuron, its connections, depolarization, and synaptic function. We will meet again on Monday prior to the student's next exam for a pretest review. She provided me with her old tests. We will review the questions and answers next session. I have given her specific instructions on how to study for her next exam. I also provided her with additional practice questions. I have no major concerns from this session. " "Today I met with the students and the ee and ea blends were our primary focus. We also reviewed the bossy r blends too. They used books to find words that had these blends and did a great job of identifying. It is my hope that the more words they find the more they will use in their writing. For writing today we focused on storytelling and captioning pictures. I brought cut outs of magazine images and they both had to create stories around them. They did a great job at coming up with humorous and creative stories for the pictures. For next session in writing, I will work with student #1 on adding punctuation to her writing so that it makes sense and continue to work with student #2 on actually trying to write the ideas that he has down."